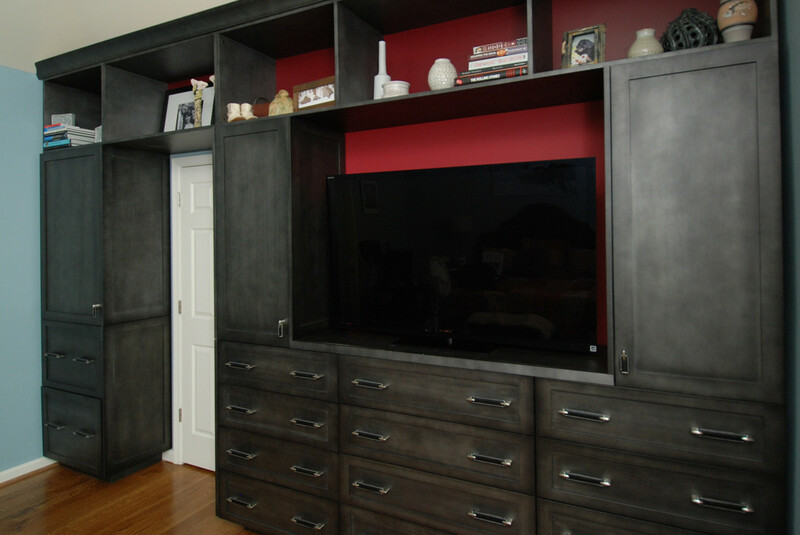 The finished entertainment center – it was built around the entrance door to the room and is wall to wall. 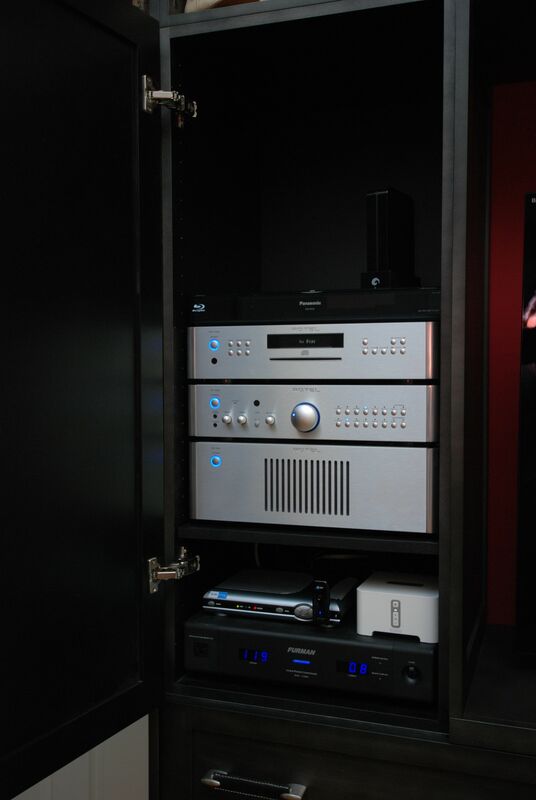 The turntable and albums are stored in the column on the left side of the unit. There is a speaker behind each of the doors on the left and right ends. 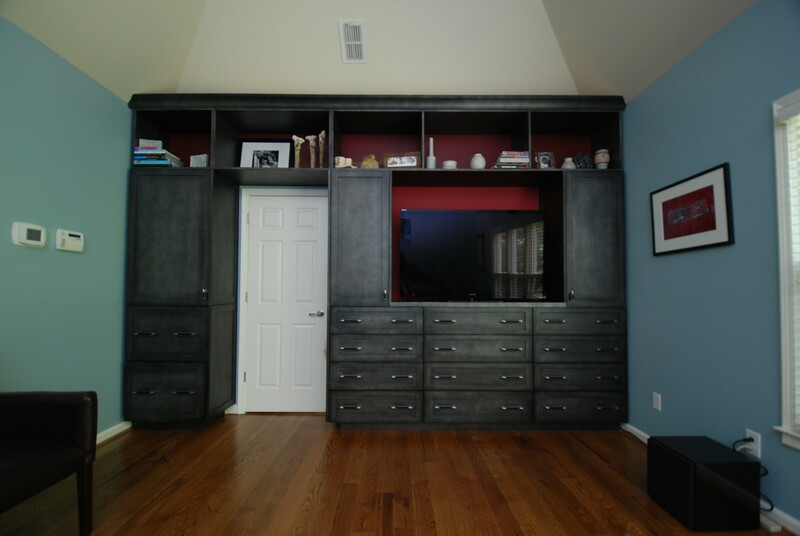 The drawers in the foreground are designed to fit compact disks. The speakers are hidden behind doors that are opened to listen (as opposed to cloth grills on the doors). 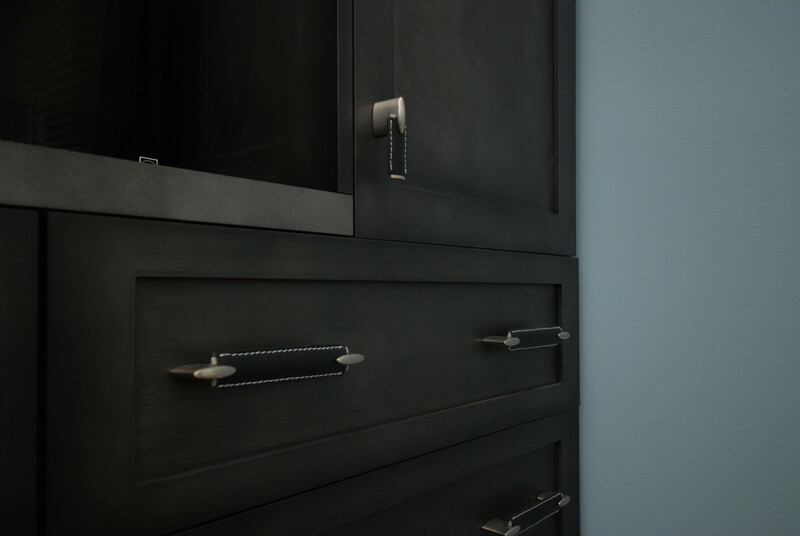 A detailed look at the door and drawer hardware. They are designed to look like trunk handles and are stitched leather. The electronics in the center upper column. 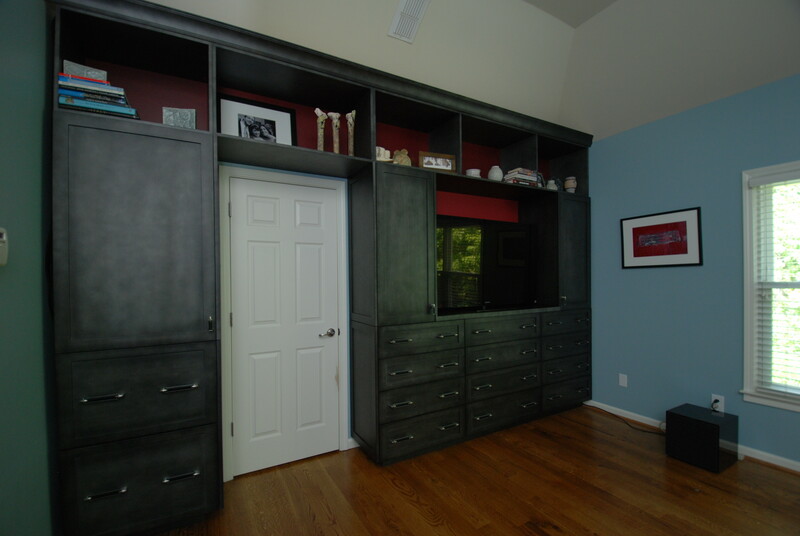 There is room for additional components but no wasted space. One of the storage drawers. 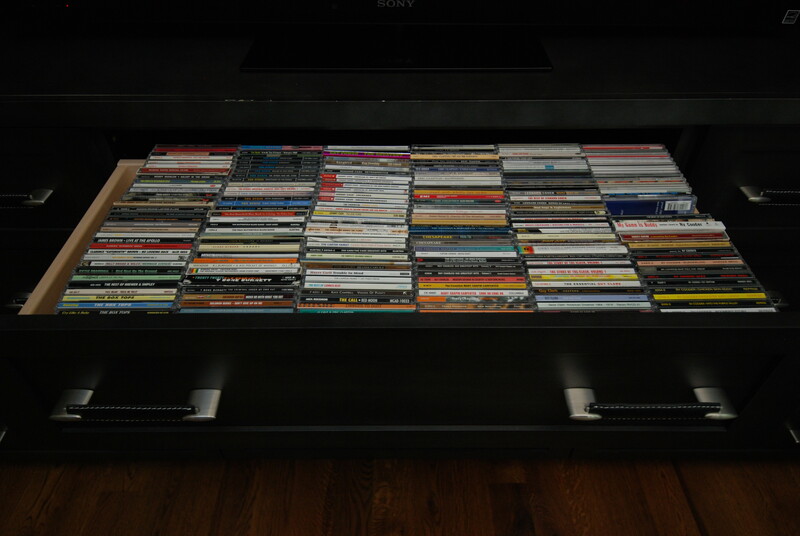 There are no dividers because we didn’t want to waste any space and to allow for storing DVD and Blue Ray disks. The turntable area. 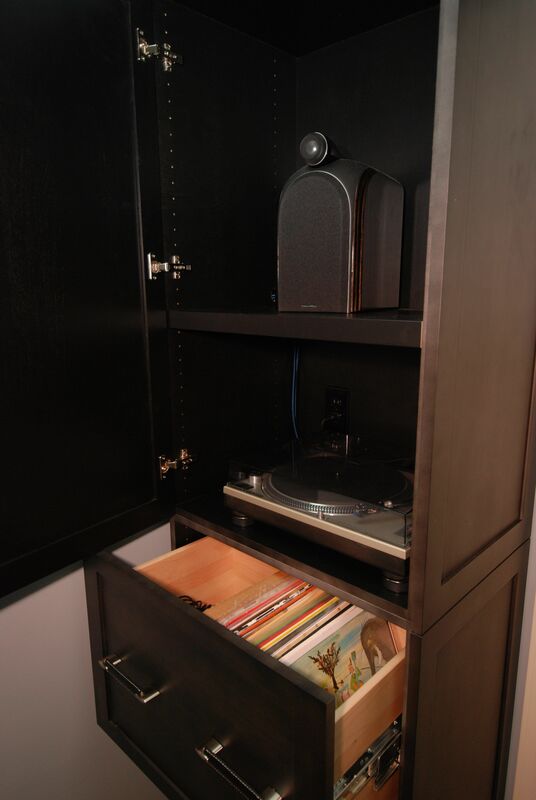 The albums are stored in drawers below the turntable and there is room for accessories and speaker in the upper cabinet. 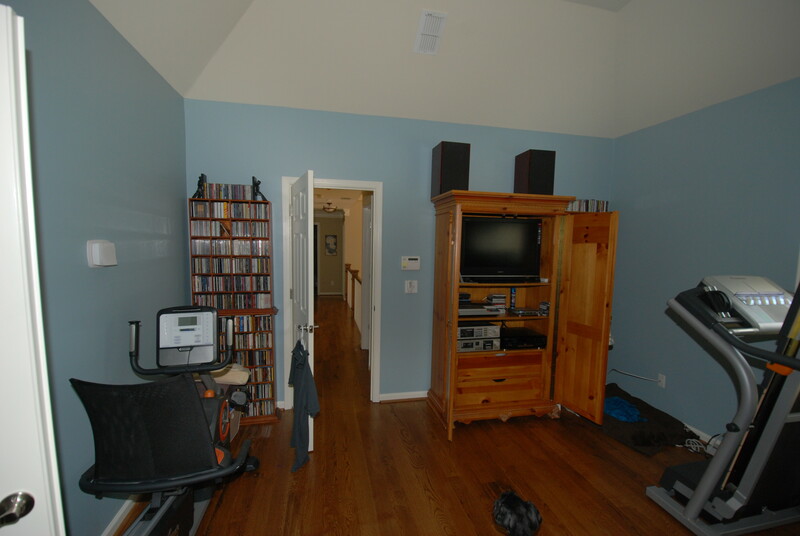 A before shot of the wall where the entertainment center was to be built with a small sampling of the homeowner’s compact disk collection.